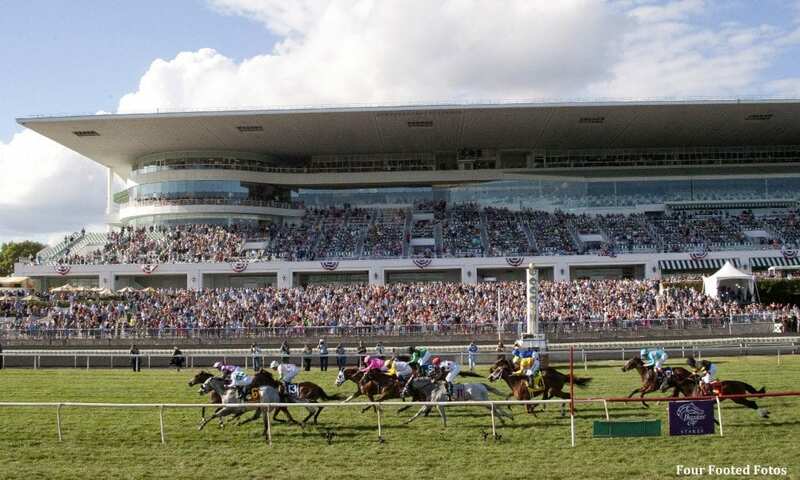 In her first start in just over a year, Superioritycomplex (IRE) found the winner's circle in Saturday's eighth race at Arlington International Racecourse, a one-mile turf allowance event. In addition, the one-length victory was the 4-year-old daughter of Hard Spun's North American debut for trainer Michael Stidham. Guided by jockey Mitchell Murrill, Superioritycomplex was sixth in the field of eight during the race's early stages and angled wide at the top of stretch. She took command at the eighth pole and held off a late change from Market Top to win in a time of 1:39.97 over yielding ground. In December of last year, she went through the sales ring at Tattersalls Mare Sale of 2017, where she was purchased by bloodstock agent Maretten Farrell on behalf of Mt. Brilliant Farm for $566,076. She was previously conditioned by Sir Michael Stoute and owned by Ballymacoll Stud. Superioritycomplex was consigned by The Castlebridge Consignment. Said pedigree is covered with Group 1 form on the broodmare side. The dam is Justlookdonttouch (IRE), a Galileo (IRE) broodmare who is a half sibling to Islington (IRE), winner of the Breeders' Cup Filly & Mare Turf in 2003. She also is a half to Group 1 winners Greek Dance (IRE) and Mountain High (IRE). All are out of the Darshaan broodmare Hellenic (IRE). In her career overseas, Superioritycomplex broke her maiden fifth time out at Chelmsford City on August 15, 2017, which was her final start before being purchased by Mt. Brilliant Farm and relocating to the United States. Stidham went on to say that Superioritycomplex would likely target a second-level allowance event at either Kentucky Downs or Keeneland Racecourse in her next start. This entry was posted in Bloodstock and tagged arlington, Arlington Park, hard spun, michael stidham, mike stidham, mitchell murrill, Mt. Brilliant Farm, sir michael stoute, superioritycomplex, Tattersalls, tattersalls mare sale by Press Release. Bookmark the permalink.